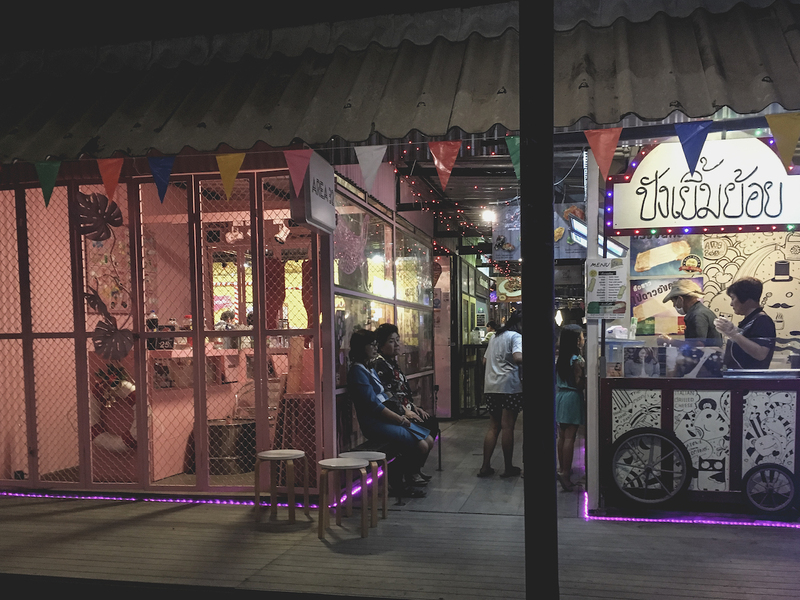 Bangkok’s streets, the Khao San Road to name but one, have long been known for their carts of deep-fried, heavily salted insects, often surrounded by tourists keen to crunch on a grasshopper for an Instagram hit. But bugs are going up in the world and being given a distinctly European makeover. There are more than 20,000 Insect Farms in Thailand. This business is increasing despite the fact that the Asian population actually eats less insects nowadays. Insects had been eaten for years, but mostly by poor people and farmers in the countryside, because they had no money to buy meat. Most people are unaware of the nutritional values of edible insects and the sustainable factors connected to insect farming. They see the consumption of insects as something ancient and rural. Modern and developed Thai society dislikes entomophagy and make fun of western countries where this trend is on the rise and people are consuming insects as food. Despite this, Regan Suzuki Pairojmahakij, a woman with over 15 years of experience in natural resource management and international development in Asia Pacific, specifically focusing on sustainable forest management, community forestry and climate change mitigation and working for organisations like FAO and WWF, has co-founded a restaurant in Bangkok called Insects in the Backyard (the restaurant takes its name from Tanwarin Sukkhapisit’s banned film). 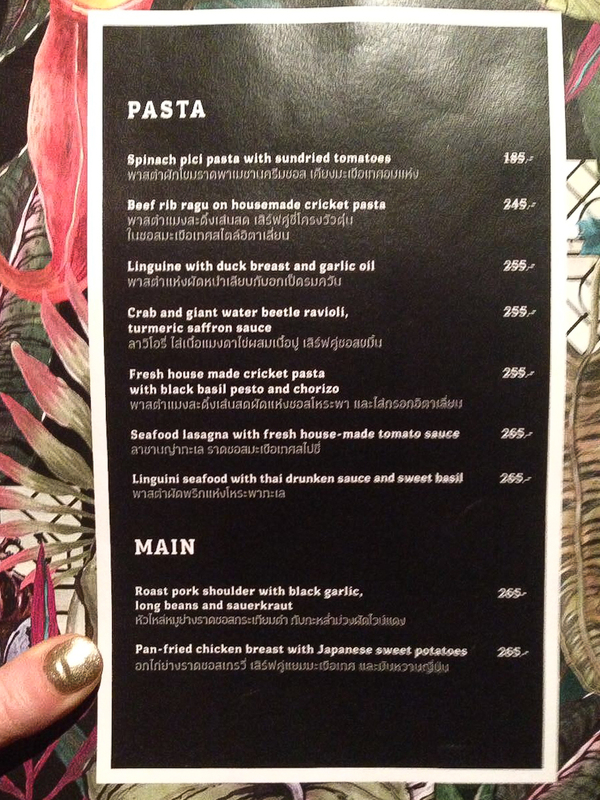 The restaurant describes itself as “Thailand’s first edible insect fine dining experience”. In her opinion, insects are more than just a gastronomic trend – they are a potential panacea for an increasingly crowded and meat-hungry world. She aims to make insects more accessible to sceptical diners through a fine-dining experience. 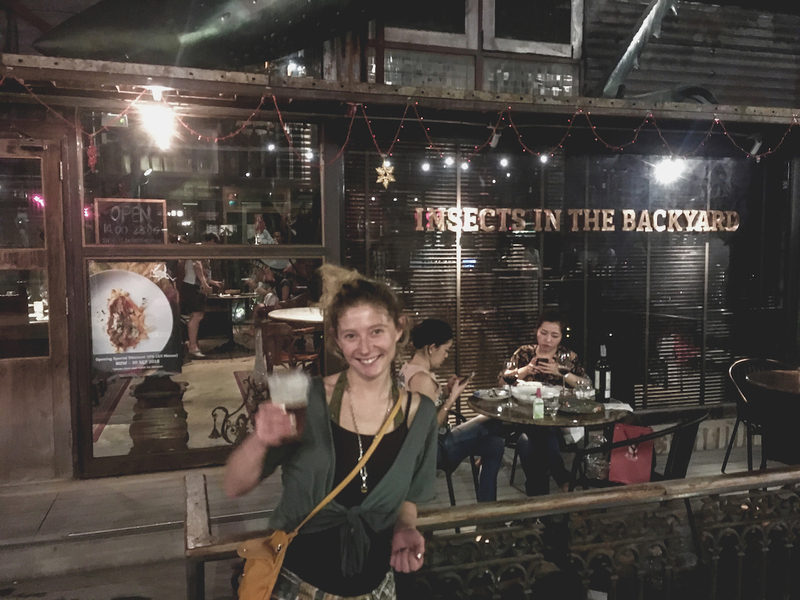 The Head Chef at Insects in the backyard, Mai Thitiwat, is truly passionate about food. 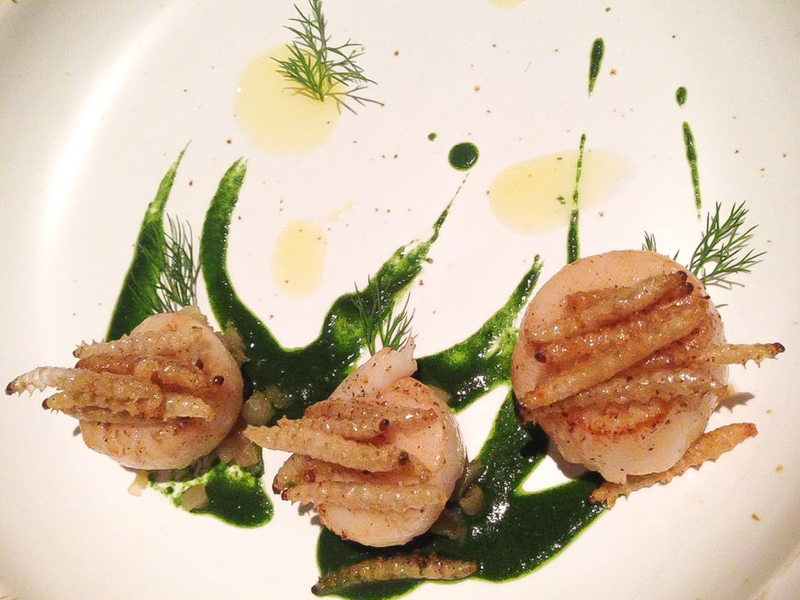 He share’s Regan’s aim to spread the popularity of edible bugs through fine dining. He has a wealth for experience and awards to his name. In 2012, he was the Thailand Chef Talent competition runner-up. He has worked with celebrity chef Todd English at Mohegan Sun, at Michelin starred restaurant D’Sens, and famous Italian restaurant Medici. By bringing insects to the forefront of the high-end culinary scene, Insects in the Backyard has not only successfully overcome those pre-conceived perceptions but also made insects the celebrated heroes. 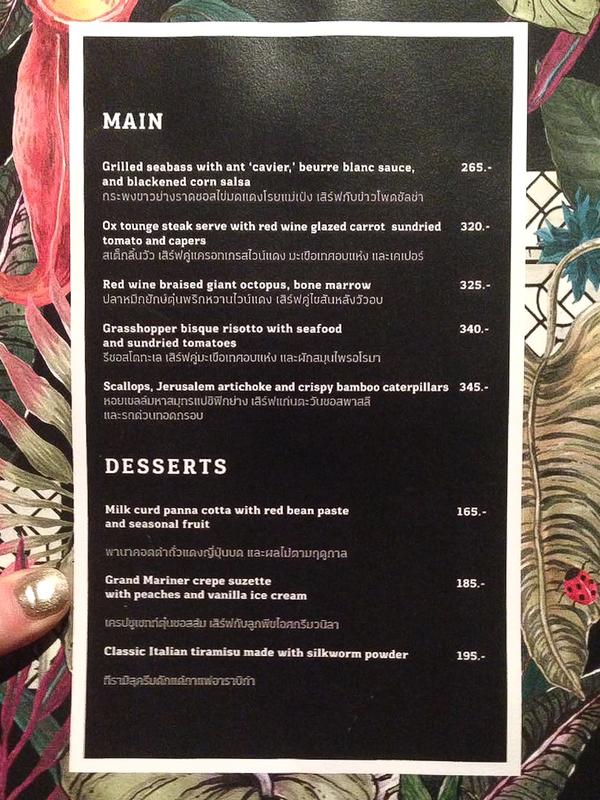 Thanks to their good work, bugs are now creeping onto the menu of some of Bangkok’s high-end restaurants as the capital’s gourmands leap onto the latest global food trend with a sustainable agenda. It is a creative environmentalist’s dream – not just a market, but a whole area made from repurposed materials and intended to house art. There are galleries, a theatre, cinema, loads of shops, cafes, restaurants, food stalls and bars. Most of the things on sale are one-off handmade pieces. It is here, in this fascinating place, near to a craft beer bar, that the restaurant Insects in the Backyard is located. Giants insect legs creep from the inside to the outside of the building. 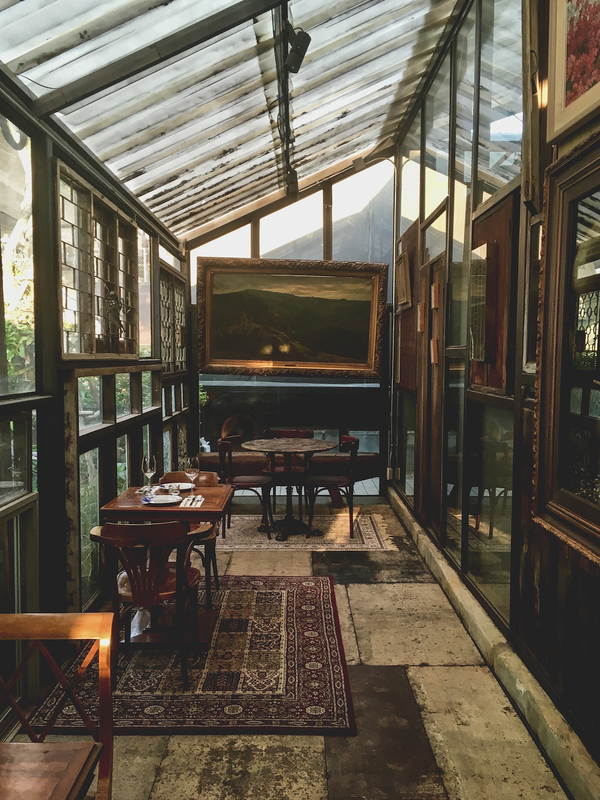 Inside, wooden furniture and the interior design give to the place a creepy atmosphere. There are cases of stuffed animals and carnivorous plants among the chandeliers, but the overall feel is elegant. A few tables are located in a tropical garden outside. We sat at a small table on the veranda. 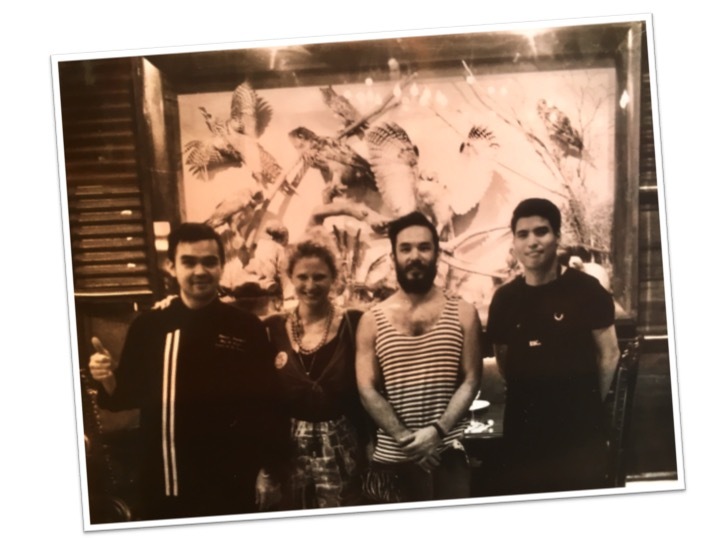 When the waiter came, I asked to speak with the chef and had the honour to meet Chef Mai Thitiwat. I asked him to cook his best insect dishes. The first course brought out was nachos with mixed insects, cherry tomato salsa and sour cream. 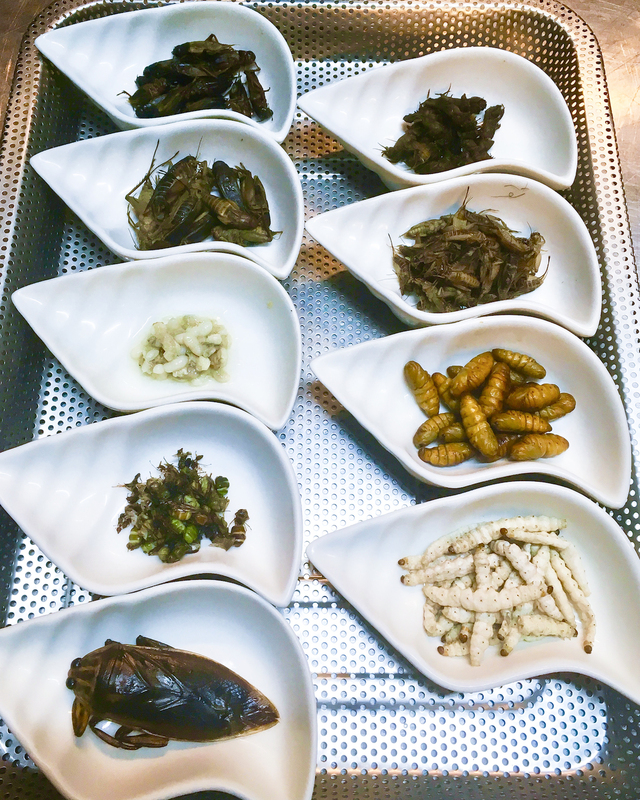 There were over 3 different kinds of crickets and two other insects in this dish: thim koh crickets, the big ones, moro crickets, the black ones, classic brown crickets, wasps and silk worms. The insects were lightly fried. Their crunchy consistency went perfectly with the nachos and the two salsas added a fresh touch to the dish. A great starter. Ideal as a snack too. I had a second starter of cream of chestnut soup with quail and bamboo caterpillar (‘duan rot fai’). These caterpillars are the most expensive insects in Asia, because they are not easy to find. When you cook them, the interior disappears, so you basically eat the lightly fried skin, which is why they are known as “Asian French fries”. The blend of flavours in the soup was really delicious. Next up was crab and giant water beetle ravioli with a turmeric and saffron sauce. This dish was delicious. The ravioli were made and cooked perfectly. The taste and consistency were balanced perfectly. The combination of the saffron cream was wonderfully matched with the light lemony taste of the water beetle and really brought out the flavour of the insect. Chef Mai worked in Italian restaurant for several years and is very knowledgeable about Italian cooking techniques. He is excellent at making handmade pasta, risotto and Italian seasoning. 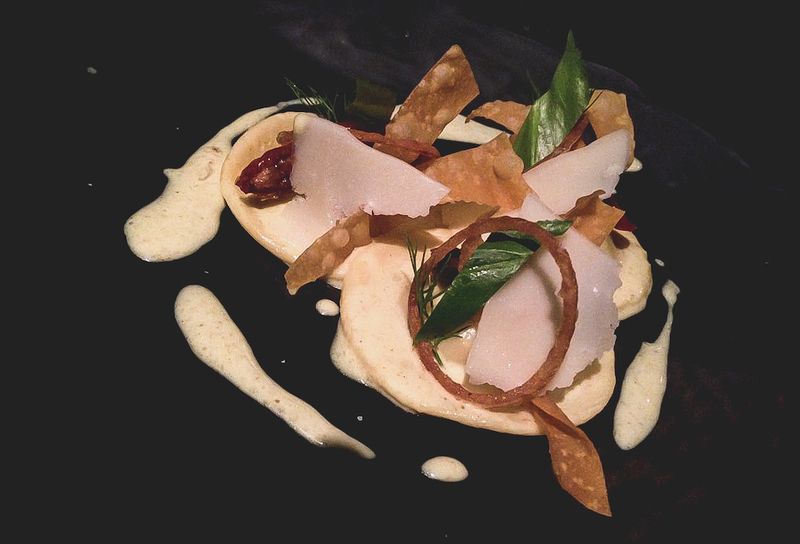 His experience made this dish a masterpiece. 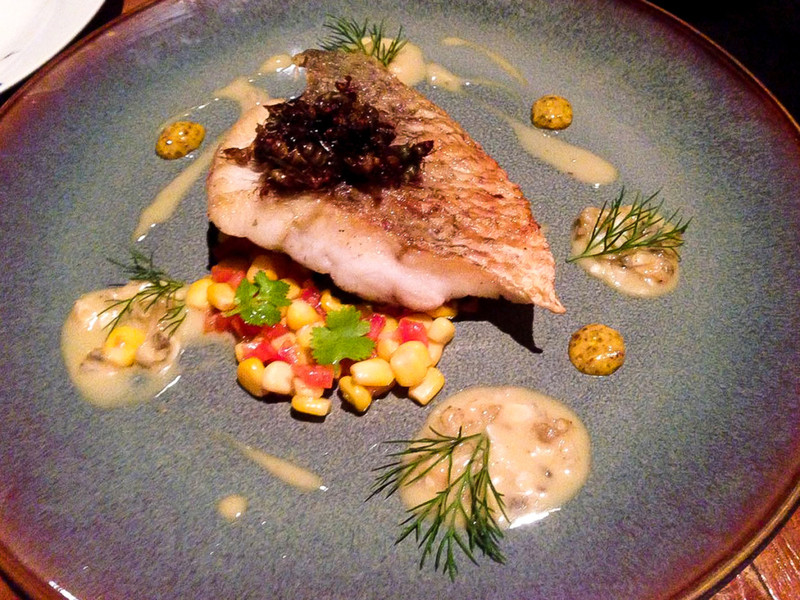 It was followed by grilled seabass with ant “caviar”, beurre blanc sauce and blackened corn salsa. The ant caviar was lightly boiled and seasoned with salt and olive oil which is the best way to enhance their delicate flavour. The fish and side dish were very good but not the real stars of the plate. Then came the time for scallops, Jerusalem artichoke and crispy bamboo caterpillars, I’m a sucker for both scallops and artichoke (and, as it would turn out, caterpillar). The bitter taste of the artichoke, the delicacy of the scallops and the crispy caterpillars in-between… it was a feast for the senses. This was my favourite dish of the menu. 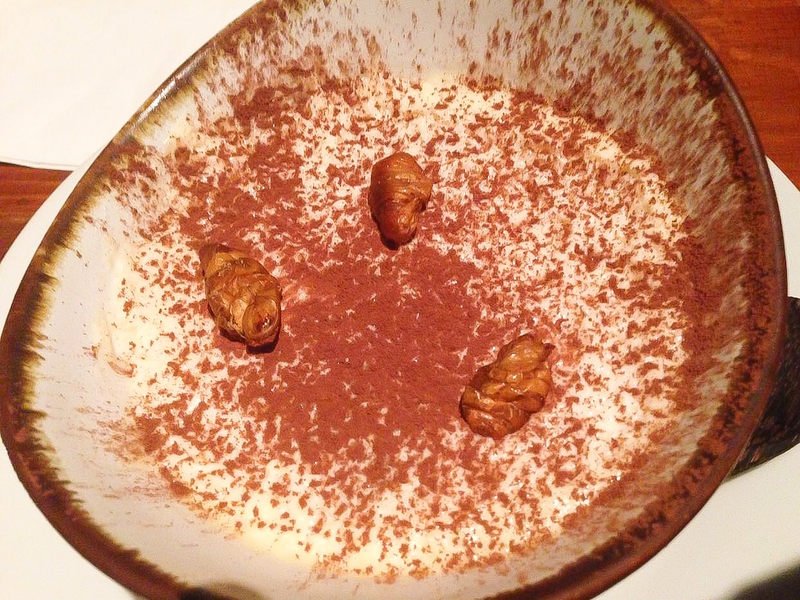 Classic Italian tiramisu made with silk worm powder was served as dessert. Again, the Chef’s Italian influences emerged. It was the best tiramisu I have eaten in Asia. The chestnut taste of the silk worms gave a “woody” note to this dish, making it unique. 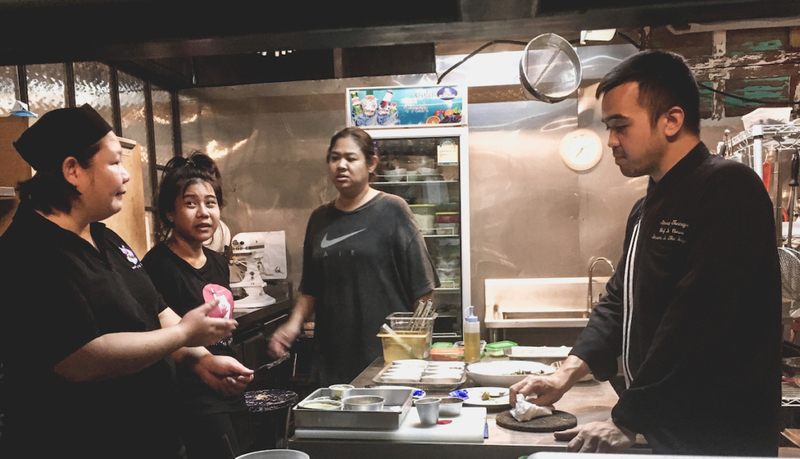 After this amazing journey into Chef Mai’s world, I was so excited that I started to ask him hundreds of questions. Instead of answering, he offered me a chance to cook with him. We chose a day and met in the kitchen. We were both so enthusiastic to share our ideas and techniques. We had a lot of fun and developed a special relationship based on our common passion for bugs, food and gastronomy. We promised to keep in touch and to exchange ideas. I will never forget that day and I hope to visit again soon. 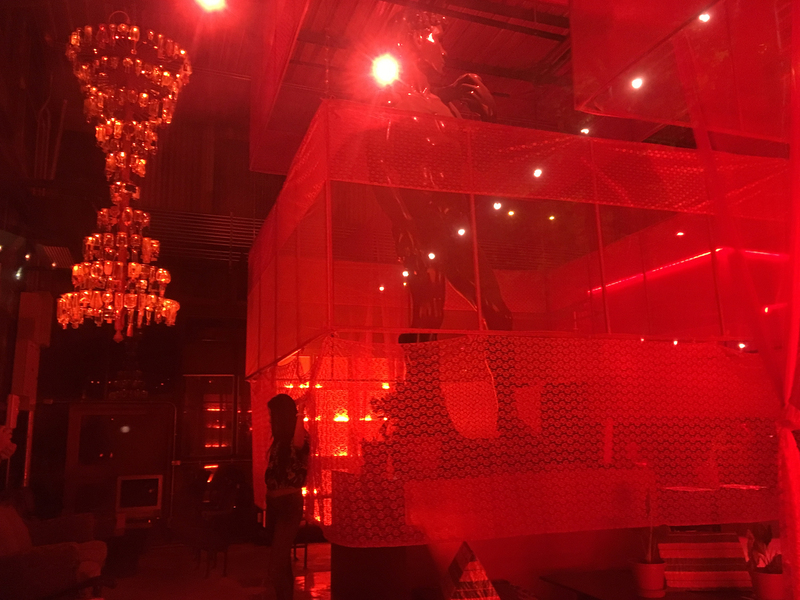 I highly recommend making a visit if you’re ever in Bangkok. It is also worth mentioning that not every meal has insects in it, so if you’re travelling with a friend who is squeamish at the thought of consuming bugs (or you yourself feel this way), there are plenty of “normal” dishes that you can order from the main menu.